A college student’s quest for late-night leftovers turned into a racially charged episode where the student was roughed up and six Barnard College security guards ended up on administrative leave pending an investigation by the school into their actions. “We deeply regret that this incident occurred, and we are undertaking a thorough review of our public safety officers’ actions, and will address our processes and procedures and how they are applied,” Barnard President Sian Beilock said in a statement, according to the Washington Post. The “incident” in question involved Alexander McNab, a senior at Barnard’s sister school, Columbia University. Late Thursday night, he was in search of free sustenance for a late-night study session. 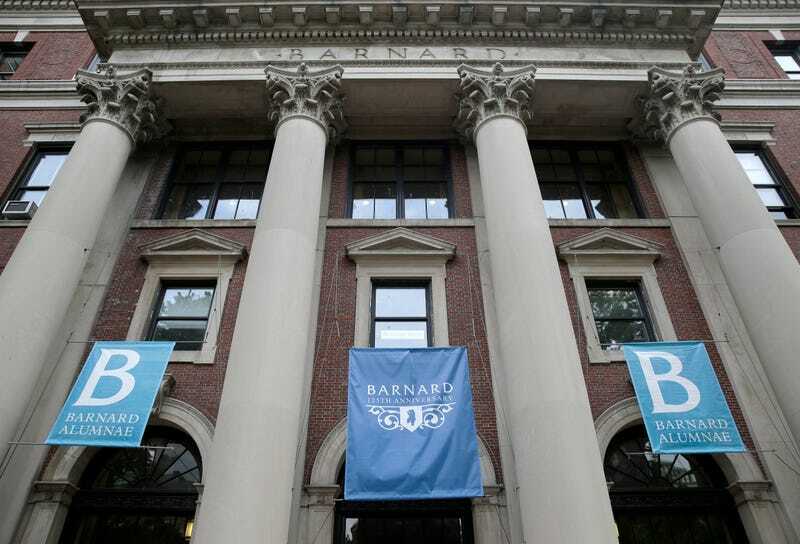 A university social media post indicated there were leftovers at Barnard Library, which Columbia students are allowed to access, and McNab told the Post that he decided to make his way there. ... encounters he said were a result of racial profiling. They once demanded to see his ID as he was leaving a two-hour dance practice. Another time, he left dance practice to run — barefoot — to the bathroom, and he was stopped again because the officers assumed he was homeless. But McNab says the physical violence of Thursday night’s interaction shocked him. “What I didn’t see coming was when they got the other public safety officer to come to the side and pin me to the counter,” he told the Columbia Spectator. “I hadn’t made any threats; all I said was I’m not going to show you my ID. I don’t understand where that came from.